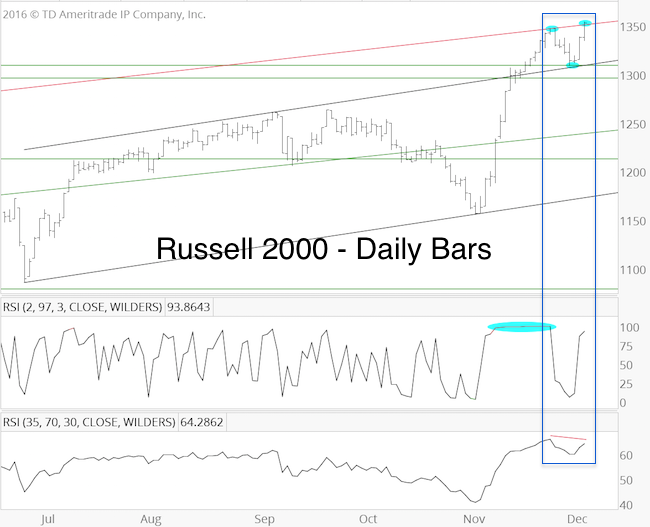 Since 1970, the S&P 500 has seen a ‘Santa Claus Rally’ (SCR) 73.9% of the time (SCR equals last five days of old year and first 2 days of new year). 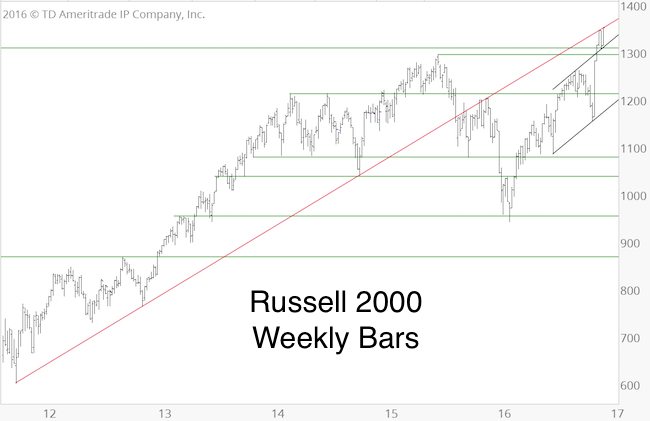 Purely based on seasonality, there’s a good chance the S&P 500 will move higher in the coming days. Due to the fairly predictable inverse correlation between the S&P 500 and the VIX, one would expect the VIX to move lower during the SCR period of the year. However, that’s not the case. In fact, this is the biggest VIX anomaly of the year and is relected in VIX seasonality. During the 2015/16 SCR period, the VIX lost 24.21%. 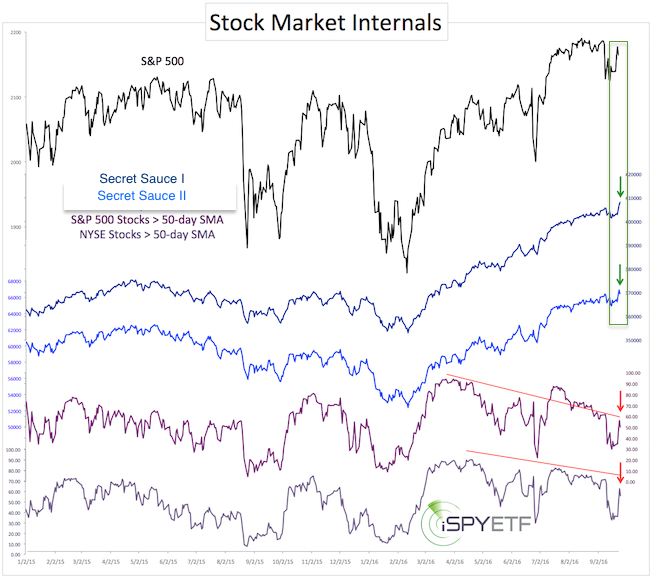 We love shorting the VIX via the VelocityShares Inverse VIX ETN (XIV – here is why: The Spectacular VIX Tailwind Trade), that’s why this anomaly is so interesting. In 2016, the Profit Radar Report recommended shorting the VIX (= buying XIV) twice for gains of 14.46% and 13.33%. 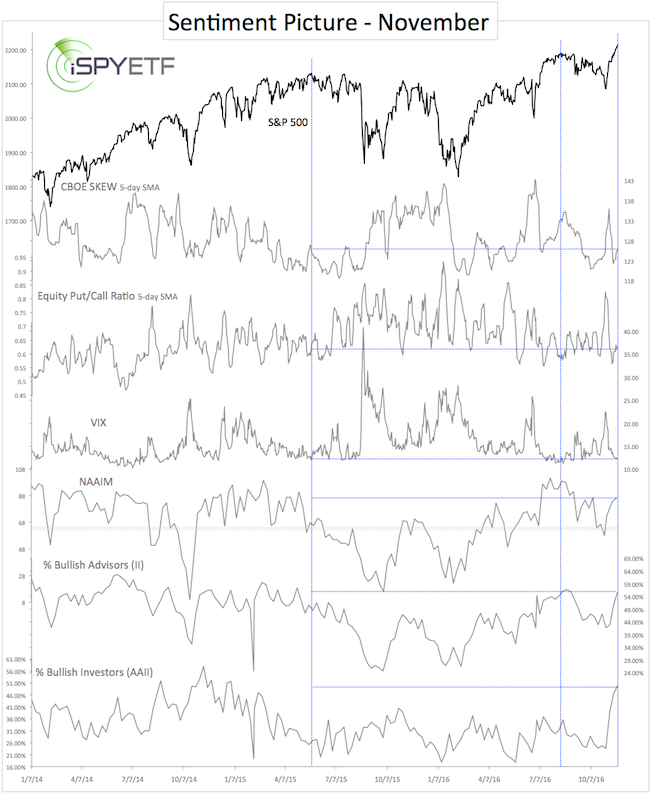 Various indicators go into a XIV buy signal, seasonality is one of them. 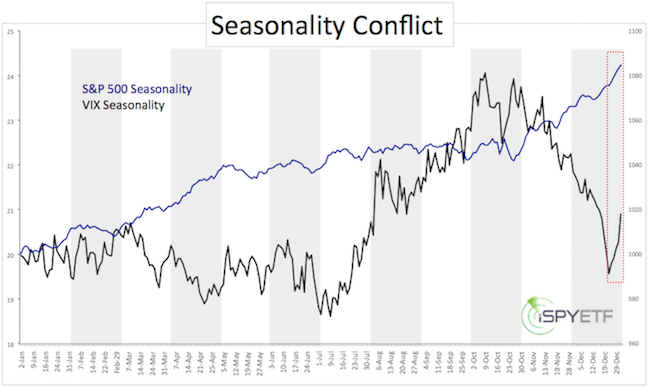 Right now, seasonality is not in favor of buying XIV (even if the S&P 500 moves higher). 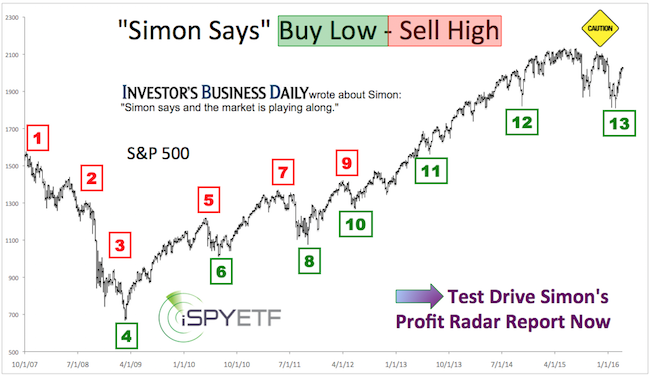 Continuous S&P 500/VIX updates with actual buy/sell recommendation are available via the Profit Radar Report.